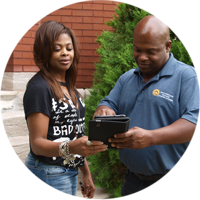 Encompass is the preferred home inspection service in the Saint Louis Area. We have in-depth knowledge of the area and years of local experience. We pair our exceptional home inspections with outstanding customer service. When you need me I’m there! Encompass Home Inspections provides professional and quality service at a moment’s notice. American Society of Home Inspectors, ASHI. Encompass Home Inspections Providing Inspection Services in the Saint Louis Area. A home inspection is a visual investigation of the structure and parts of a home to discover things that are not performing effectively and/or need replacing. Why Do I Need Home Inspection Services? Every home owner needs a home assessment to discover any and all of the possible issues with the home. Why Should I Hire Encompass? You will always receive your Inspection Report the same day of the Inspection! We Inspect on all holidays and weekends! 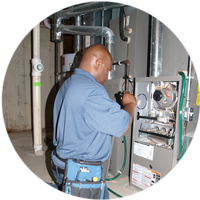 Emergency Inspection (Receive a Home Inspection and Report within 24hrs without scheduling)! What Makes Us The Best Home Inspectors in Saint Louis? Our home inspectors are dedicated to delivering exceptional home inspection services in your city. We also provide the same, high-quality home inspections in surrounding areas. You can trust our experts to give you an honest and objective assessment of your future home. As a Union Carpenter, I bring years of experience in construction and remodeling to your home inspection. I am customer oriented and proficient in communicating so the buyer, investor, or seller understands issues that may be identified in the inspection report. Our inspectors have completed training through the American Society of Home Inspectors, ASHI. Thank you for choosing Encompass Home Inspections! Encompass Home Inspections provides home inspection services in the Saint Louis Region including the city of Saint Louis and in Missouri within a 50 mile radius of Saint Louis. 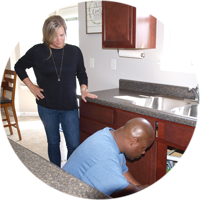 At Encompass Home Inspections, our job isn’t complete until you feel comfortable and all of your questions and concerns are answered.